Zoli’s Is Dead. Long Live Zoli’s. 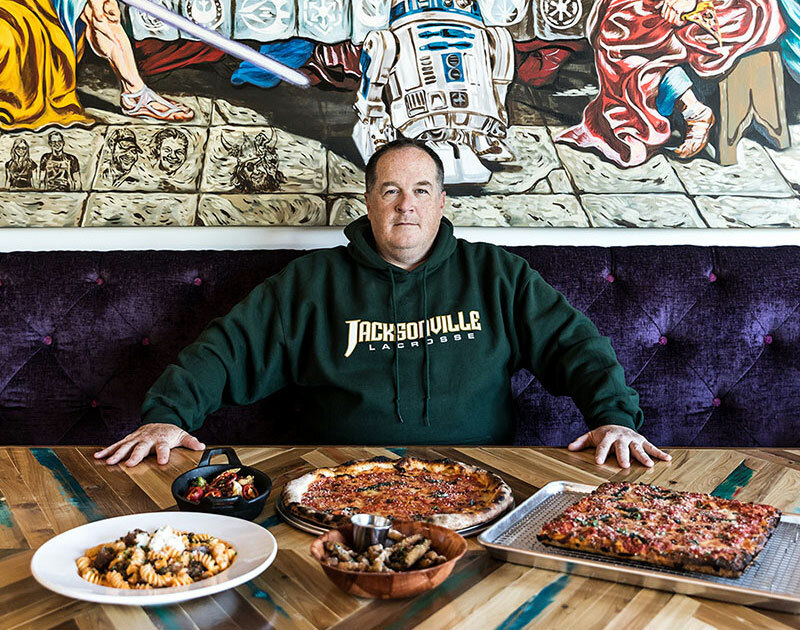 Almost Two Years After It Closed, Jay Jerrier’s Pizza Joint With A Cult-Like Following Returns With A Completely New Space In A New Part Of Town. All photos by Terri Glanger. I, like many of you, mourned the death of Zoli’s Pizza in Oak Cliff when it shut its doors in February 2016. 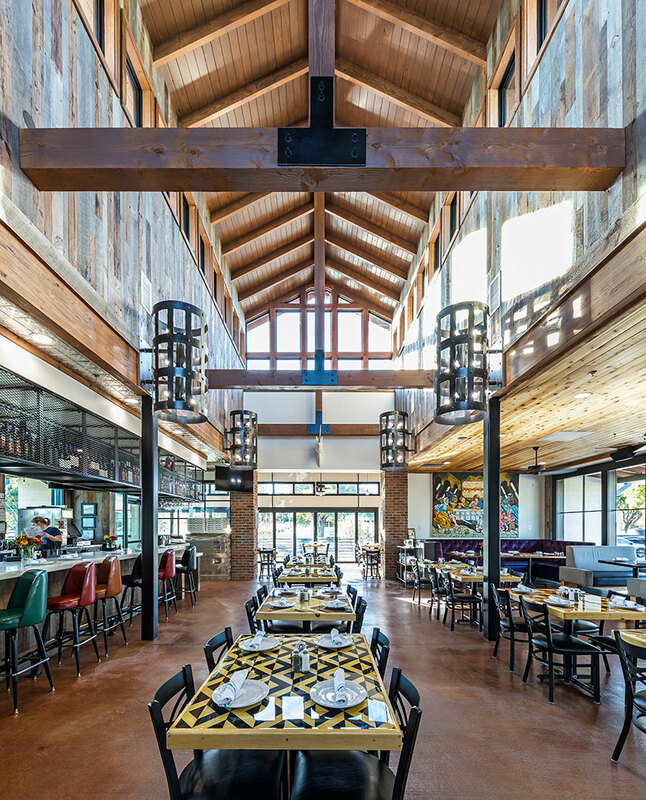 But whether it’s the Grandma Pie, the New York slices or those blessed garlic knots you miss the most, we’ve got good news for you: The adored, wide-ranging pizza parlor from Cane Rosso pizzaiolo Jay Jerrier has finally, mercifully returned with a new dedicated home in Addison. 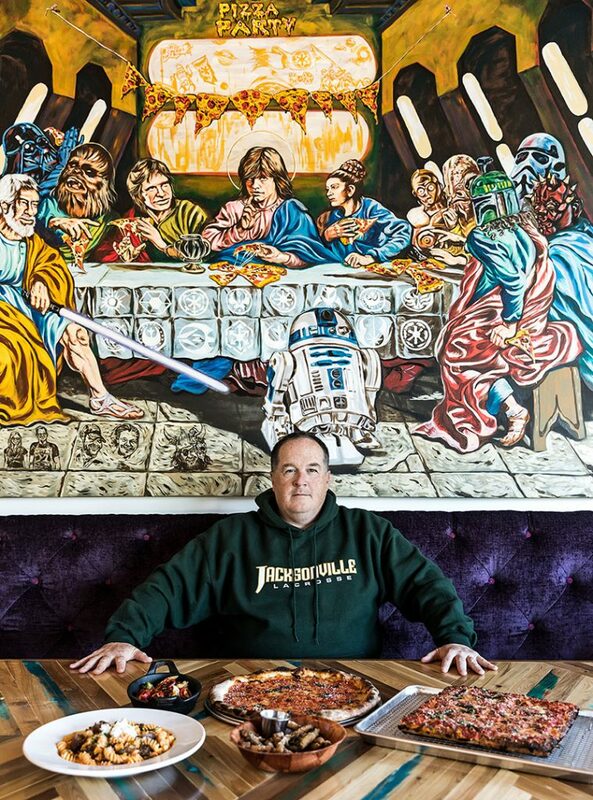 With an official opening date slated for November 3 and the restaurant operating in “soft open” form for dinner until then, we recently visited Pizza Church (read: Zoli’s 2.0) and sat down with Jerrier to discuss his spot’s new home, why it took so long to open and what he really thinks about ranch dressing. First of all, tell us about the new place. Here we are, almost two years after Zoli’s 1.0 closed, and now 2.0 is raring to go. What can people expect from the new spot? 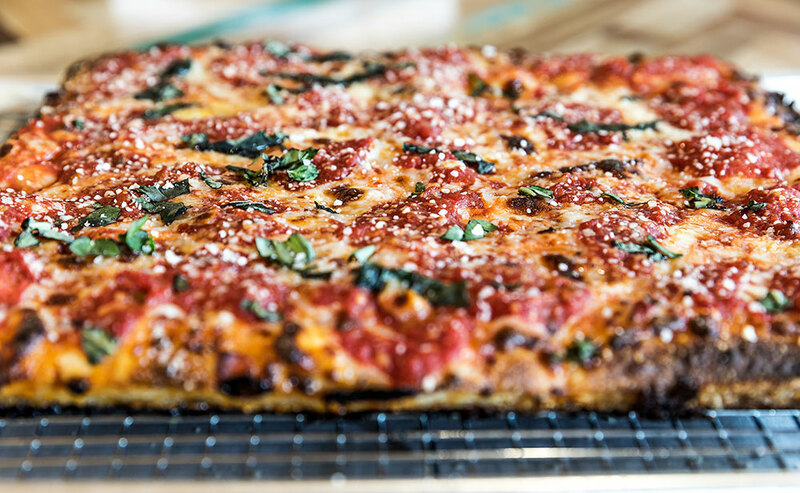 It’s basically an Italian restaurant that should have awesome pizza. There’s a lot we liked about Zoli’s in terms of the type of food and the base recipes. But what we didn’t like was the by-the-slice model. There was a lot of waste with the 20-inch pies, and it made the pies too expensive. It was hard from a business standpoint. The high-quality ingredients made the food cost out of control, and people would start choosing Papa John’s or Jimmy John’s. And I get it! We took all of that into consideration. We knew we liked the food, but we wanted to do more of a sit-down restaurant. We grew up in the northeast with restaurants that had great pizza but also had pasta with vodka sauce, chicken parm, eggplant parm and roasted chicken. We had that idea in our head. [Chef] Lee [Huntzinger] spent some time out in Portland with Brian Spangler at Apizza Scholls during the gap. Brian’s a legend. He has a very bread nerd-approach to dough, and Lee has learned a lot. There are temperature probes and humidity level checks, graphs and charts and A, B and C dough — all that. Those guys are here, learning about non-round pizza stuffs from us too, so we’re doing a sort of knowledge exchange. We traveled extensively in our gap time. We went to Fortina Pizza, Pig Bleeker and Emmy Squared in New York, and Fidel’s and Barbuto in Nashville. We’re looking to do something with Northeast Italian DNA but also that feels at home on a table in Texas, where we can kind of do whatever we want. One thing we’ve been working on that we could never get to catch on at Zoli’s is our sandwich program. Our sandwiches are amazing. Lee finally got this seeded hoagie roll dialed in, so we’ll do a meatball parm, chicken parm, eggplant parm and a true Italian combo on good crusty bread. That’s one of my favorite sandwiches. We’re going to be doing some great, authentic sandwiches that I think will be compelling. You can come in here and say, “I had pizza yesterday; I think I want a sandwich today, or pasta today.” It’s gonna be a really fun place. We are also going to have art on our walls by local artist Clay Stinnett, and Sarah Reiss did the woodwork on the tables. We want it to be a really fun place to come eat. I keep saying, “There’s no way people can hate this pizza, but I’m sure there will be.” They’ll hate it because I’m involved with it somehow. That brings me to my next question. I’d describe you as part pizza pioneer, part philanthropist, part dance mom, part sarcastic jerk and part dog whisperer. Who’s the real Jay Jerrier? That’s actually pretty good! I’m like Shrek. I’m an onion with layers. Yeah. Obviously, I love pizza. The other things that dominate my life are dogs and my family. Luckily, we have two girls, and my wife does all the heavy lifting for the little one, and I get to just show up to watch her dance. My other one, when she’s not obsessed with getting asked to homecoming, is a pretty competitive lacrosse player. So I am usually trekking her around between practices. And now that she’s in ninth grade, there are actually college recruiting tournaments we travel to. Then there are the dogs, which are obviously are a tremendous amount of work, but what are you gonna do? When you’re in a position to do something good, that’s how the rescue started. At first, we thought we would just use our social media reach — because we have a lot of passionate followers who also love dogs — to help other rescues find home for their dogs, and use our patios for rescue events. And that just sort of morphed and then we started fostering, and we realized how desperate the need is, especially for hunting breeds. So we opened our own rescue center in the City of Carrollton. I can’t say enough good things about the City of Carrollton; they’re amazing, not only from wanting a rescue to succeed, but anytime you want to do something that’s good for the community or society, they find a way to say, “Yes.” The dogs are a lot more stressful than the restaurant business. There’s always a dog in need. It all started with that famous Lily Tomlin quote, “I always said somebody should do something about that, and then I realized, I am somebody.” It’s kind of taken on a life of its own thanks to great staff, great volunteers and great support from our restaurant goers. You sort of skipped over the sarcastic jerk part, but we’ll let that slide for now. Our last question: Would you rather drink an entire bottle of Hidden Valley Ranch for breakfast every morning or attend a Lakewood Elementary PTA meeting every afternoon for the rest of your life? Oh, I’d go for the PTA meeting. I mean, I like ranch dressing. But Hidden Valley? That’s really thick and rich. But the jalapeño ranch at Snappy Salads? Or the ranch at Neighborhood Services? I like it. I’m also a chicken tender connoisseur. But, yeah, definitely the PTA. I like kids. We have a lot of Type A parents who run in the lacrosse and dance circles. The parents of the little angels who never do anything wrong? They can drive you insane though. But I can hang with the parents. Next ArticleGet Ready To Embrace Basicness At Rosé All Day.